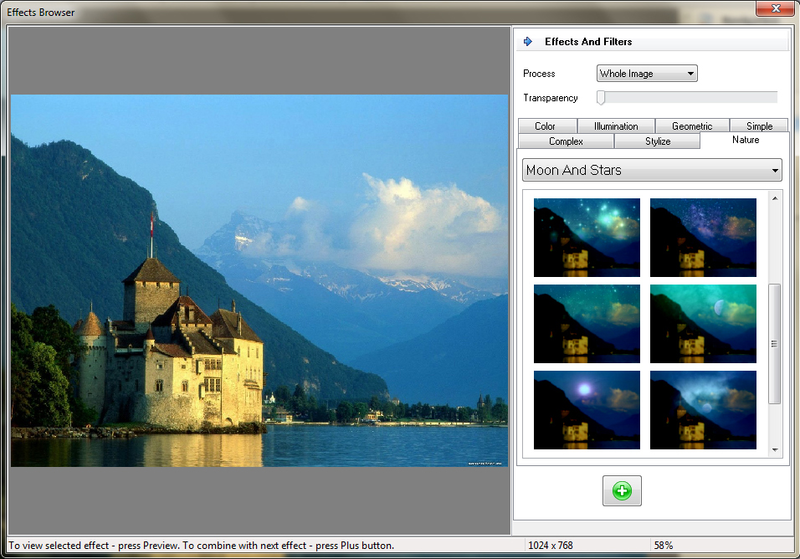 Whether you're an expert photographer or a novice, everyone who takes digital photos is going to need a fantastic image editor sooner or later. 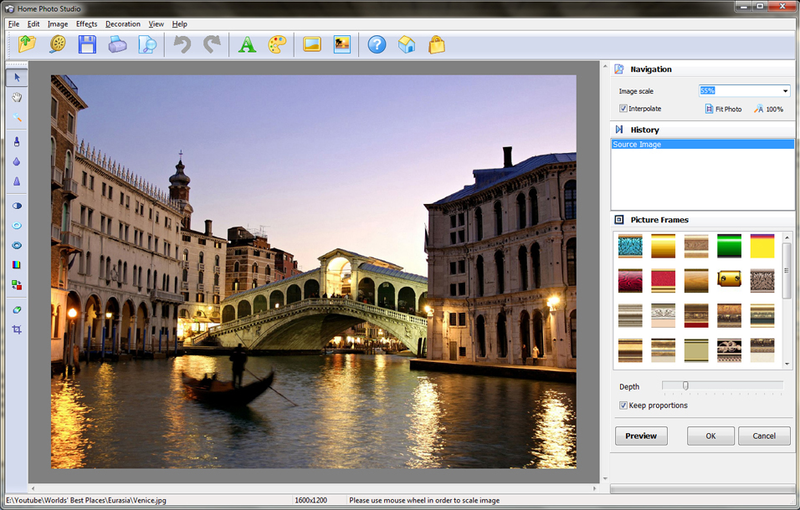 That's why today's discount software promotion, Home Photo Studio Gold, is designed to fit into everyone's workflow! Home Photo Studio Gold is a powerful, yet easy to use, photo editing application that's perfect for users of all technical levels. With Home Photo Studio Gold, you'll enjoy access to a complete set of image manipulation tools, while experiencing an intuitive interface and detailed help system. Engaged in a full array of photo editing functions, including retouching, color enhancement, red eye removal, and sharpening. Change background of photos to any color, transparent, or even another image, and create professional-looking portraits with blurred background. Multiple levels of undo mean never making an irreversible mistake! Besides improving the quality of your images, you can also use Home Photo Studio Gold to add some truly special effects to take your photos to the next level! Stuff like lightning, weather effects, and 3D composition is all possible, with far less effort than you would think. Once you're done, take your optimized and jazzed up photos and create slide shows, postcards, and collages. Best of all, with support for 20 input and output file formats, it's a sure bet that Home Photo Studio Gold will work with your existing photo collection! 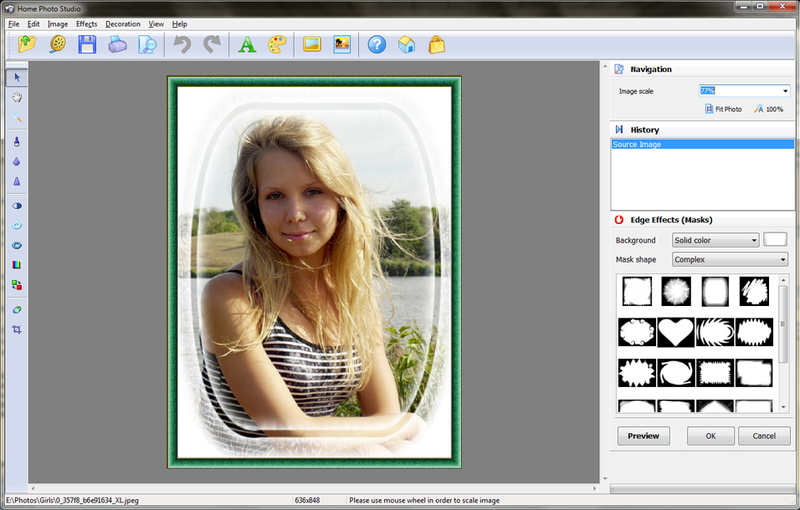 Enjoy a photo editing application that's perfect for users of all levels. Experience an intuitive interface and detailed help system. Retouch photos, enhance colors, remove red eyes, experiment with virtual plastic surgery. Add special effects: lightning, weather effects, 3D composition, Tilt-Shift miniature, and more. 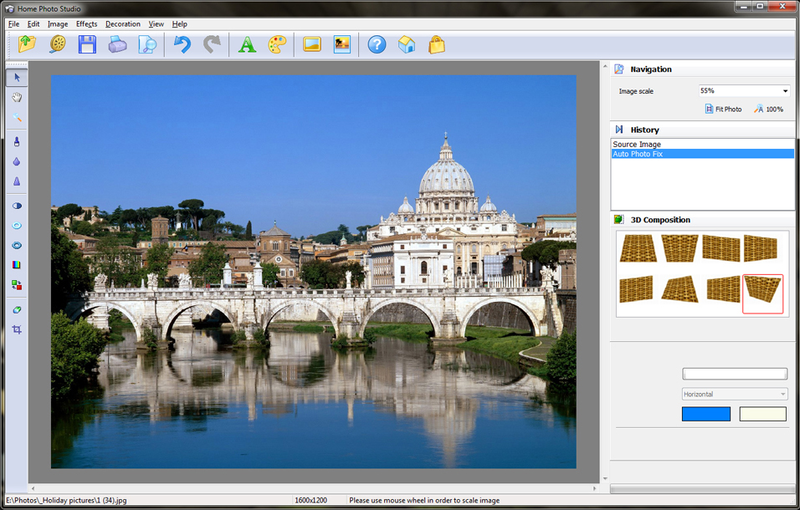 Change background of photos to any color, transparent, or a different image. 200+ picture frames and 750+ templates for photo decoration. Create photo collages and personalized greeting cards. After you purchase Home Photo Studio Gold it may be used indefinitely. Home Photo Studio Gold is licensed per computer, and not per user. Lesley Knight Hi Christina, the receipt should arrive within several minutes after the payment is made. Please contact our support team at techsupport@ams-soft.com if there is a problem. Chris I purchased this today and when I got my serial key I entered it but it says that my update period has expired and wants me to purchase a update. It doesn't allow me to at least register what I paid for. Also the link to the upgrade comes back as a error 404 Not Found error. Could you please fix my serial key so I can use the program? Lesley Knight Hi Chris, we've replied to you by email. Please contact us at techsupport@ams-soft.com anytime you need help. Lesley Knight Thank you Lesley, the fix worked, but what happens if/when there is an update? Will I need you to send me another fix? Do you want me to email you my serial key? Chris Thank you Lesley, the fix worked, but what happens if/when there is an update? Will I need you to send me another fix? Do you want me to email you my serial key? Lesley Knight Chris, an official update will be available in a couple of days. Your key will work fine with it. Lesley Knight @ H. H.
That is, the lightness, not the brightness of the image is changed in Fotor as you describe. Hope this helps. Craig User Would like to know why the price is differant than advertized on email ? Lesley Knight Hi, I supposed you received a newsletter for registered users of AMS Software. It's a different offer, not connected with the one on BitsDuJour. Constantin Florea The 24 hour deal we had for this product at $17.50 ran yesterday 29th of June 2016. It started at 3 AM EST on 29th of June 2016 and ended at 2:59 AM EST on 30th of June 2016. In other words it started at 00:00 AM PST on 29th of June 2016 and ended at 11:59 PM PST on 29th of June 2016. Since the 24 hour deal ended, the EveryDay deal we have for this product, took its place. The EveryDay deal has a higher price. The 24 hour deal ended approximately 4.5 hours before you posted your message above. I assume you see the price discrepancy because you were looking at yesterday's daily deal email we sent for yesterday's deals. If you can use this, this means that you have Gold installed. Don't worry about the window title or the About window, they stay the same no matter which version is activated. I realize this may be confusing, so I'll forward this to the engineers - hope they can fix that in the next update. Jonathan Prusky had the promo page opened from yesterday, in which the price was $10.50 and I just "blindly" purchased AMS Home Photo Studio Gold. Now I notice on the receipt that I was charged about $25 (with tax). I imagine what happened was that the price went up from yesterday to today. I think the product is cute, but not worth $25. Can I either get a partial or total refund? Please contact our customer service team here: http://home-photo-studio.com/support.php - I hope they can come up with some solution. Lonny User It says on the video over 1000 templates and effects but I do not see it on the here the download trial, the greeting cards on the video shows many more categories but on this download trial there are only three categories, I was about to buy the Home Photo Studio GOLD - special edition, just wondering do I get the 1000 plus templates & effects with this, I need to know because the discount is over December 17, I do not understand why the video says 1000 templates and effects when it is not there, seems you got to upgrade to get the full version..
Lesley Knight @ Lonny User - all those extra templates are obviously not available in the free trial :) They come with the purchased version only. The trial lets you see how it all works, but the premium graphics come with the full version when you buy it. I'm really sorry for the inconvenience. This kind of error seems to occur for some user systems only, and this is something our engineers can't control. Anyway, tech support will help you asap. Metta Zetty I purchased this program several years ago, and I'm wondering: is the software being actively developed? If so, is there a log of recent updates so we can review any new features and fixes that have been added? > Can photos be automatically resized for use on various social media platforms? > Does the software include a compression option to reduce the total size of each image? > Does the text feature now include a spell checker? In addition, can the current discount be used to update older (expired) versions? P.S. Sorry for a delayed reply. I can see that you posted your question while the special offer was live. If you're still interested, you can get the software at the price advertised - just contact our support team at http://home-photo-studio.com/support.php and they'll give you a live order link. Yes, we release major updates about once a year. There have been lots of minor bug fixes, too. - we don't have a dedicated option like "export for Facebook" but you can use "Save for Web" - this feature lets you easily change the file size and preserve the quality. - yes, check out the "Save for Web" feature mentioned above. It's in the File menu in version 10, just under the usual Save. - I'm afraid not. We'll add it to our updates plan. P.S. I can see that you posted your question while the special offer was live. If you're still interested, you can get the software at the price advertised - just contact our support team at http://home-photo-studio.com/support.php and they'll give you a live order link.